In 2001, I saw Christopher Nolan's Memento and that's when I discovered Aussie actor Guy Pearce. 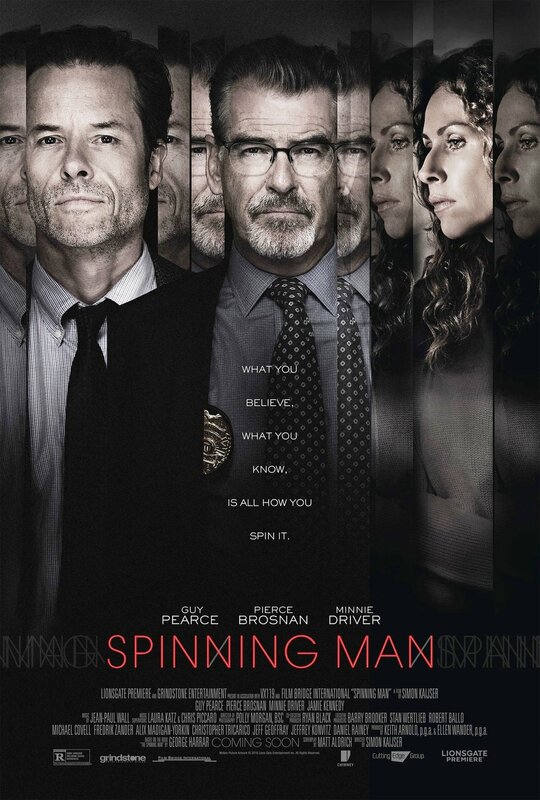 In Spinning Man (my latest review), Pearce sort of reprises his role from seventeen years ago as a guy who well, has a really foggy memory (unfortunately Guy's got no tattoos this time, sigh). Pearce's character also drinks casually, has affairs with college girls, goes totally walkabout, and merits himself a worldly philosophizer. "Spinning", with its compact and conventional film-making by Simon Kaijser, saddles Guy with a regimented and unassumingly underplayed performance. You could call his Spinning Man Memento lite for it's less dangerous, non-tetchy, and far less foreboding. Anyway, "Spinning" chronicles a college professor named Evan Birch (Pearce). When one of Birch's students goes missing, he becomes the prime suspect in her eventual murder. Evan while mild-mannered and readily insouciant, has to deal with a nosy detective on his heels (Robert Malloy played by Pierce Brosnan), the loss of his tenured job, and a pessimistic, ball-breaking wife (Ellen Birch played by Minnie Driver). Did he or did he not kill this young girl and hide her battered body? That's the question with Evan and it's told in willful, inch by inch fashion via "Spinning". 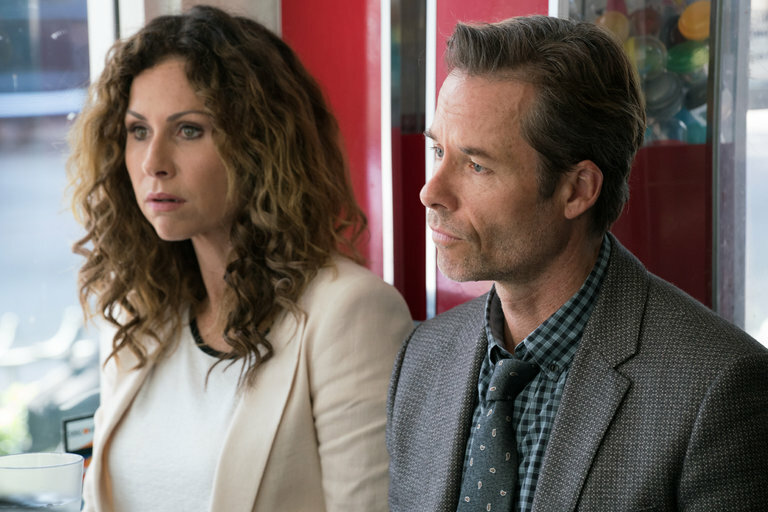 Spinning Man, which could've had a rating of PG-13, feels like a restrained Law & Order episode told from the point of view of the would-be criminal as opposed to Lt. Olivia Benson. 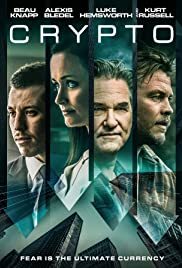 With "Spinning", Kaijser's direction has just the right amount of flash, Brosnan and Pearce have scenes that slightly crackle, rural LA looks credible, and "Spinning's" ending sort of turned the tables on me. Critics have called Spinning Man formulaic, incoherently twisty, purposeless, and forgettable. I on the other hand, dug its intrigue and its cat and mouse tenor. In truth, "Spinning" may be a safe thriller that rides the kiddie hill of apprehension. Still, it has moments that put it ahead of drivel like Secret in Their Eyes and 2017's diluted pic, The Snowman. Bottom line: Spinning Man with minimal violence, decent scripting, and binding flash-forward in tote, keeps its head on a cinematic "swivel". I'm not sure "Spinning" got a theatrical release so the best way to see it is On Demand. Rating: 3 stars.